It's a pleasure to write a review when the subject is your favorite band. 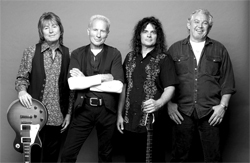 UFO is easily my favorite melodic hard rock band, possibly of all time. I grew up with these dudes, and still dig their music to this day. While I don't normally consider compilations for review, because it's UFO and these two collections are quite extensive, it's worth my time ... and yours. Early UFO: classy in those spandex rompers. 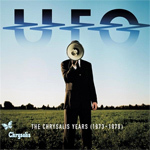 Several years back the individual Chrysalis years albums, from Phenomenon to Misdemeanor, were reissued with additional bonus material for each album. Essentially, that's what you have here. Some of that bonus material has been trimmed. Yet there's plenty of singles, single edits, B-sides and, in my opinion the very best, a shitload of live material, especially on the 1980-1986 set. The division between the sets, quite obviously, is defined by the presence of guitarist Michael Schenker. 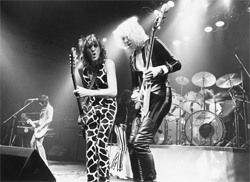 The early years, some say their best years, found UFO with Schenker redefining their style form early space rock to arena massive melodic hard rockers, and their star was rising. The Mogg-Shenker songwriting duo was a dynamic as it was combustible. We all know how that ended. So the 1980-1986 set ushers in the rehired Paul 'Tonka' Chapman on the six string. The more commercial appeal was there, but the rise wasn't as promising. The fall from grace got ugly towards the end, with drugs, alcohol, and tiresome touring ravaging the band. So here's the skinny on the two collections. 1979-1980 offers the complete studio recordings from Phenomenon to the live recording Strangers In The Night, which is not the Expanded Edition released better than a decade ago. You can hear both UFO progression in musical style and commercial appeal, especially when you hit Lights Out and Obsession. Of course, Strangers In The Night is the quintessential live rock album out there. 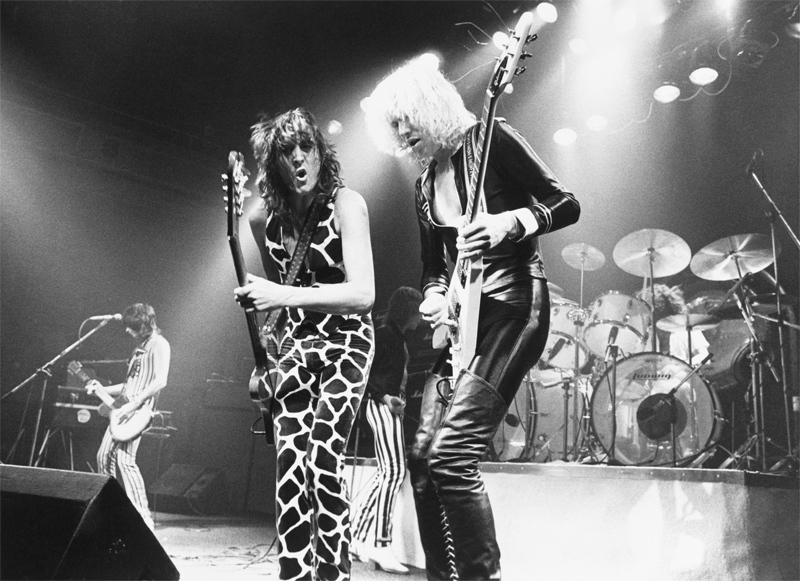 The best bonus material for these years comes from UFO first tour of the states, the 1974 live set at the Electric Ballroom in Atlanta. Current UFO: older and wiser, no spandex. For the 1980-1986, you have the complete studio recordings of No Place to Run to the swan song Misdemeanor. Much of this era is marked by a near obsession with commercial appeal, but that does not make for lame songs or albums, just maybe trying to live in the times. Choice moments sometimes come in combinations like Chains Chains, Long Gone, and The Wild The Willing and the Innocent from the album of the same name. Or We Belong to the Night followed by Let It Rain, which even sound more awesome live. And that perhaps is the best part of 1980-1986 collection, setting it slightly above its predecessor, the abundance of live recordings from BBC One and Hammersmith. 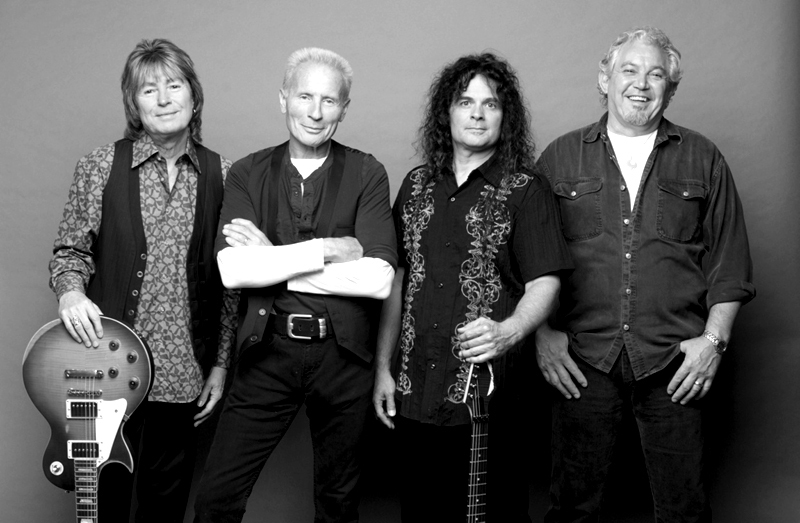 UFO was, after all, best heard live in their natural element. Each collection contains some nice photographs, liner notes, and Hugh Glimour interviewing Phil Mogg. Mogg's comments are interesting and often humorous, although he can be a little spotty on his UFO history, but that only adds to his charm. After 40 years in the business, I guess we can give him that. 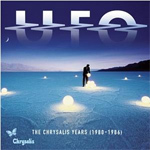 UFO The Chrysalis Years is the ultimate UFO fan's collection, an audiologue or history, so to speak, from studio sessions and live reports of a truly great, and quite influential, band. Very recommended.